Drives and controllers provide the link between the hardware (motors) and software. But how do you choose the best solution in your situation now? You should not only look at the application and motor type, for example. But also to aspects like the desired functionality and the communication protocol. We will be happy to advise you on the most suitable components for your application. This advice can be important to you. Not least because drives and controllers are still confused with each other. 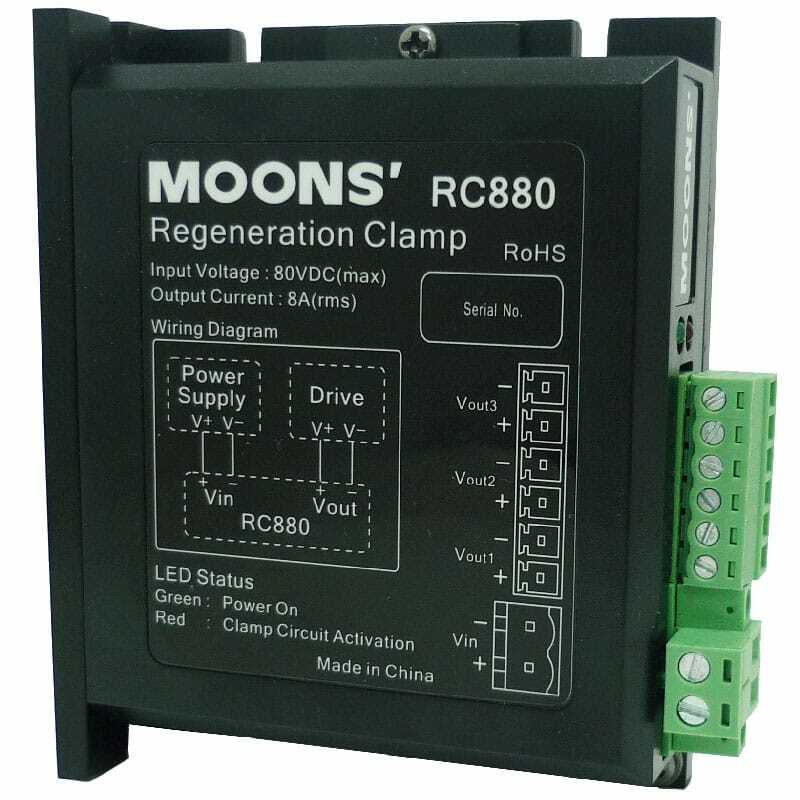 Roughly speaking, a drive only regulates the drive of the motor, while an external microcontroller or processor takes the logic and digital control. With a controller, this logic is built-in and provides a higher interface for control. We can also integrate the components into the finished product. Or we offer you a total solution-from design to commissioning. Eltrex Motion has a wide range of drives, controllers, amplifiers for various types of engines – such as servo motors and stepper motor – and associated control software. 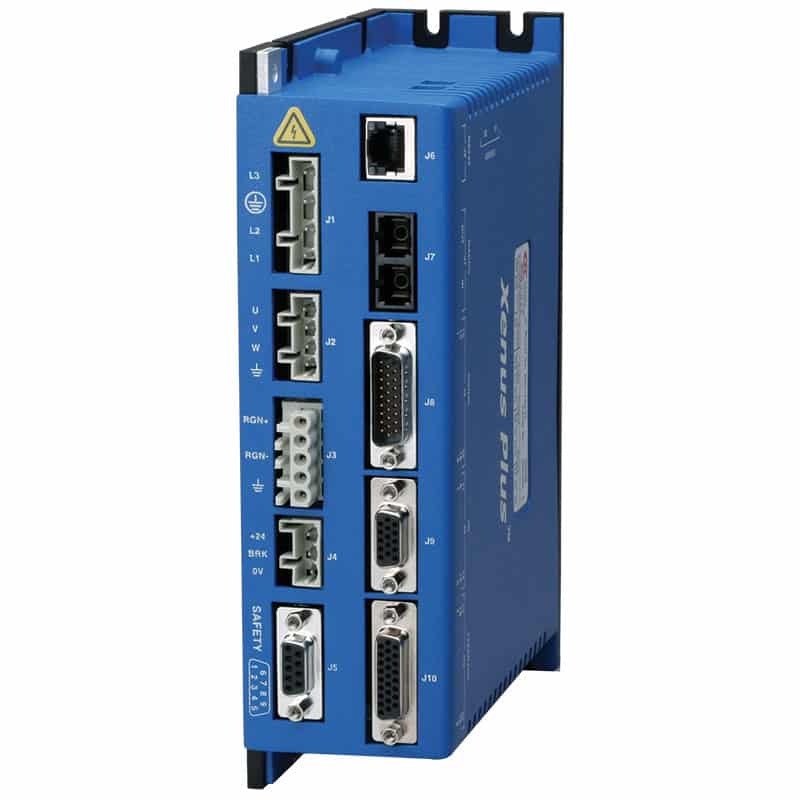 The product range includes distributed and centralised systems, analog and digital models, and motion controllers with PLC functionality. Encoders, Keysincos encoders, digital Hall sensors, resolvers, Tachos, etc. Also available up to max. 22 at 8 I/O. 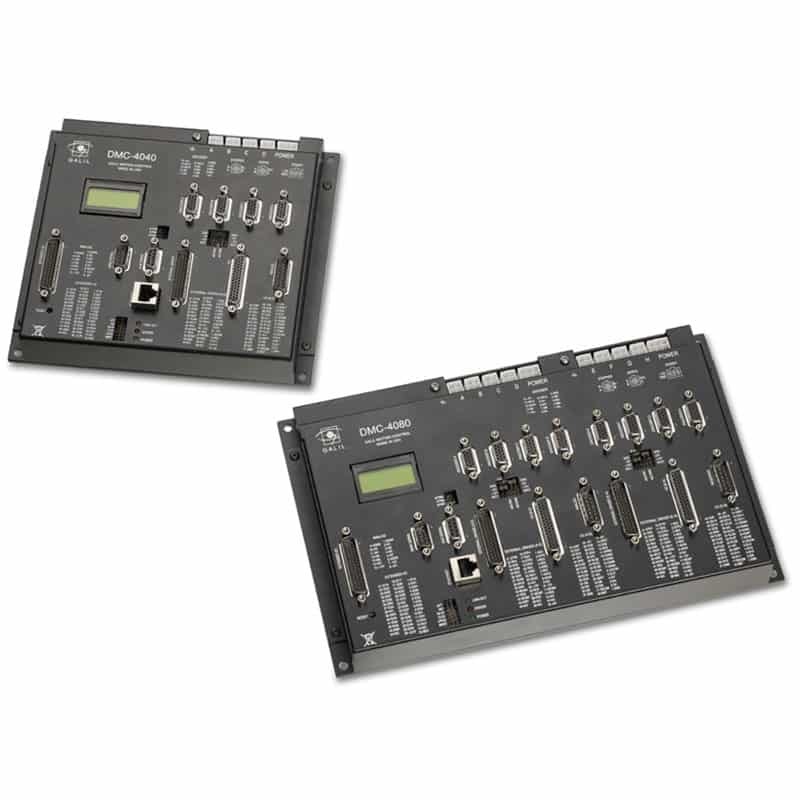 Up to 20 to 7 digital and 2 to 1 analog I/O. Adjustments are also possible. The controllers can be delivered in single as well as Multi axis, with the construction form of Din rail mounting up to cost effective PCB pluggable. For brush and brushless motors. Available in AC and DC version that support a trapezoid, or sinusoidal commutation. AC or DC powered and with OA.  Pulse-direction inputs, micro stepping options and additional IO. 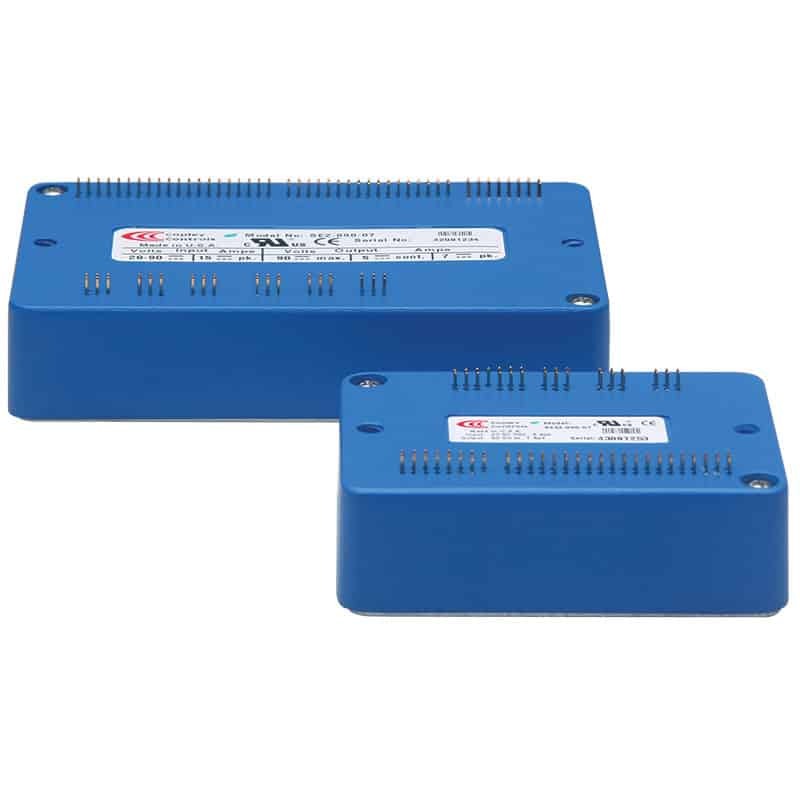 Both AC and DC powered, pulse-directional, analog-and digital inputs, micro stepping options, various bus systems possible such as Ethernet/IP, Canoen, RS232 and RS485. For the communication between the components you can also choose from multiple options. 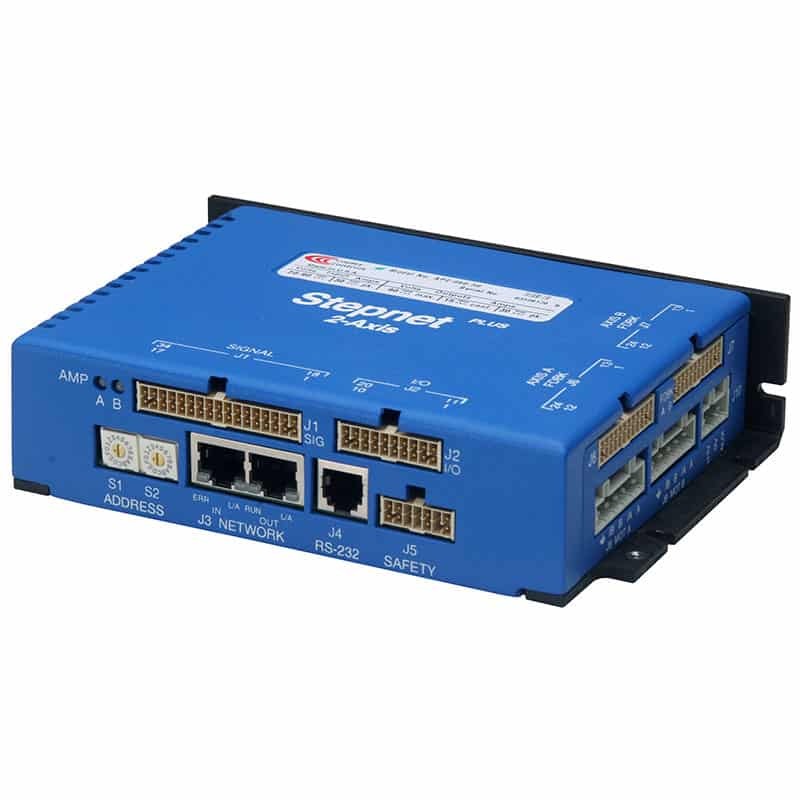 For example, you can choose from the communication protocols Canoen, EtherCAT, Ethernet/IP and DMX control. And also in terms of functionality there is a great diversity. We are happy to help you. When putting the solution into service, our engineers can program every conceivable movement. They support you in developing the necessary application software or the HMI software for the machine control. It uses VB.NET (Visual Basic), LabVIEW and programmable touchscreens. 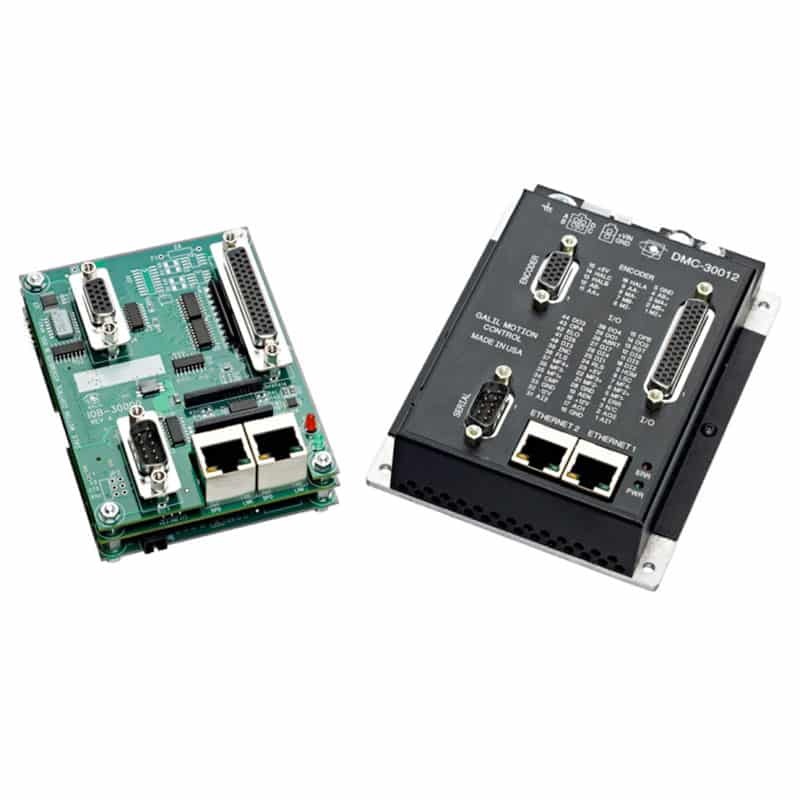 Would you like more information about our drives and controllers? Please feel free to contact us.